*Free InterNACHI membership with any purchase of $299 or more. International Association of Certified Home Inspectors (InterNACHI), New members only. **$1,500 off CMI certification with any inspection report software or coaching purchase of $299 or more. CMI certification is a lifetime certfication. There are no renewal fees ever. CMI certification is normally $2,500. You are NOT required to pay additional fees to use the software during or after your initial year. There are no usage fees at any time for any reason. There is no limit to the number of reports you can create with any BestInspectors.Net inspection software. Install the software on multiple PCs. The BestInspectors.Net End User License Agreement (EULA) is the best in the industry. Call today for a free live one-on-one interactive demo! 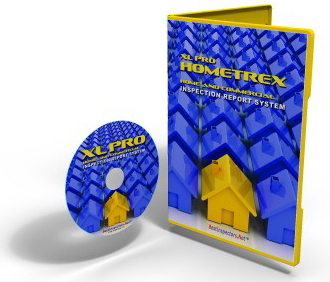 XL Pro Titanium Edition is our most popular home and commercial inspection report. It comes with three popular templates: two residential and one commercial. Of course, you can also create an unlimited number of your own templates. Titanium 15 has everything you have come expect from this world class report software plus so much more. Among Titanium's new features is the ability to share the Comments and Nomenclature Library with multiple templates. XL Pro Titanium Edition is optimized to allow you to have the full power of a desktop report system on your Tablet, Laptop, Netbook, Notebook or, or course, your Desktop PC. Titanium Edition has everything you need to do any residential or commercial inspections. Advanced customization and expandability mean you will always have the right report for your needs. Buy it once, use it forever. Never pay any per-report or any other usage fees. XL Pro Titanium Edition comes with free updates and technical support for a full year. Take 30 minutes to see XL Pro Titanium Edition in action. It will be one of the best investments you will ever make for your business. XL Pro Vanguard is similar to Titanium Edition but without the built-in Commercial template. Vanguard is an excellent choice for use on a tablet by home inspectors who prefer to complete reports on-site. ©1992-2018 Management Science International Inc.